Martin’s Aston Services is the home of high quality Aston Martin servicing in Scotland. Martin's Aston Services offers fixed menu pricing for all models from, and including, DB7 onwards. All our servicing is to current Aston Martin maintenance schedules to which we add additional checks, where needed, of items our experience tells us need a more thorough appraisal than the schedule asks for. 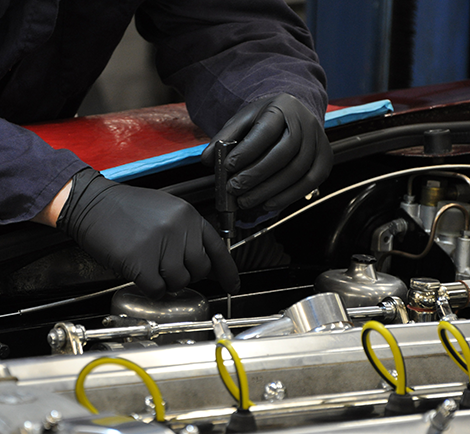 We only ever use genuine parts and Aston Martin specified fluids. We don’t just service the latest models of Aston Martin, we regularly look after all models from the pre-war era onwards. It doesn’t matter which Aston Martin you have we can look after its regular servicing needs, to the highest possible standard, at your convenience. Please contact us for more information on Aston Martin servicing by clicking here.